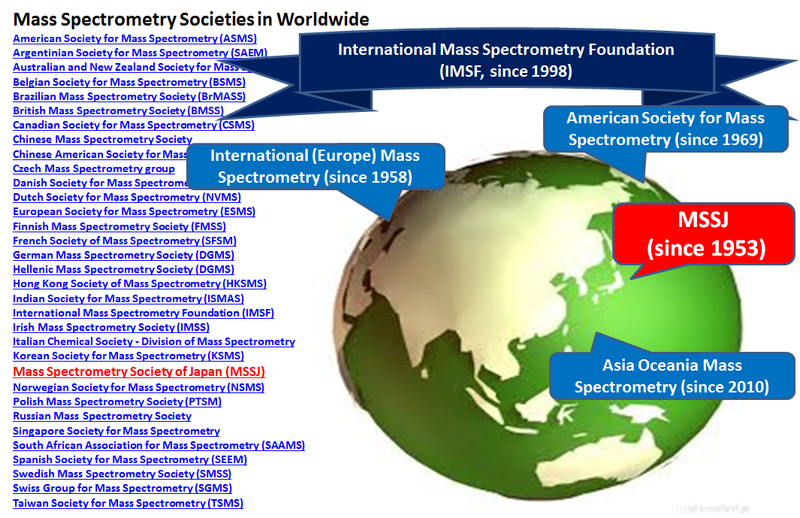 The Mass Spectrometry Society of Japan (MSSJ) was established in 1953, and is proud of its history being longest among MS societies worldwide (see the chart below). Notably in the global MS community, Japan is one of a small number of countries with companies that produce mass spectrometers. This situation has promoted our tradition of good collaboration between academic and corporate members in managing the society. The annual conference attracts more than 1,000 delegates, exercising the responsibility to deliver new technologies and innovations regarding MS in a timely and intelligible manner. In 2012, MSSJ held a landmark event, the 19th International Mass Spectrometry Conference (IMSC) in Kyoto. It was the first IMSC held outside Europe. 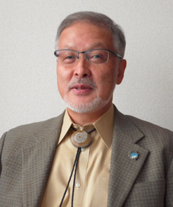 MSSJ is also providing an arena for scientific communications by publishing an international journal, Mass Spectrometry (Tokyo), as well as a societal journal, the JMSSJ, which has the longest history among MS journals worldwide.